THE daughter of an Irish pagan king and a beautiful Catholic mother has become the lifeline and friend to a group of Catholics from Brisbane who live with a mental illness. 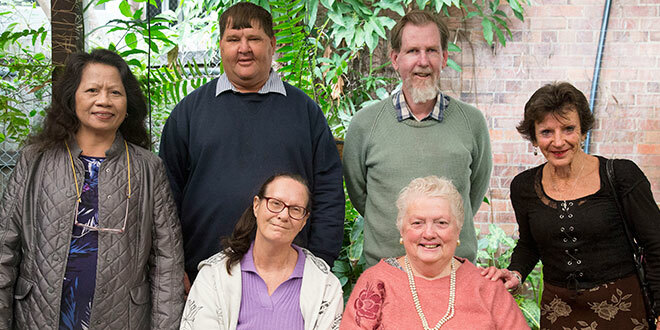 Members of Brisbane-based ministry Catholic Psychiatric Pastoral Care, which offers spiritual support and companionship to people with a mental illness, have developed a deep love and devotion to St Dympna, their patron saint. Every year CPPC members and their families gather at St Patrick’s Church, Fortitude Valley, to honour St Dympna, and ask for her prayers. “It’s the most important day of the year for this place, St Dympna’s day,” CPPC member Neil said. “Some of us on St Dympna’s day think she must be up in heaven looking down, very happy about this place. Hundreds of people with a mental illness have claimed to be cured after visiting St Dympna’s tomb in Geel. People like Neil and his friends at CPPC continue to ask for her intercession. Neil has been visiting the centre since 1991, having suffered from a mental illness for most of his adult life. “There’s a lot of mentally ill people in the world,” he said. At the annual Mass, Neil joined fellow members Vicki, Faye and Rizza in the choir, and Wayne, the ministry’s regular altar server who has been with the centre since 1987. Kathleen has been attending the annual St Dympna’s Mass for three years with her family, who live on the Gold Coast. This year’s Mass was particularly important, as she has just returned to the centre after having two heart surgeries. Kathleen received Holy Communion from CPPC chaplain Fr Jim Smith and the CPPC pastoral carers while in recovery at Prince Charles Hospital. Members of CPPC yearn to receive the sacrament more than once a week. “I had just come back after having heart surgery… and I was asked to take up the offertory gifts,” Kathleen said. “That was more than I expected that day. Bishop Ken Howell concelebrated the Mass with priests from across the Brisbane archdiocese, including Fr Smith and Fr Michael Cooney, a hospital chaplain in the Toowoomba diocese who attended the Mass for the first time. In his homily, Bishop Howell said CPPC’s work “is to help bring the inner healing that Jesus so much wants to bring to everyone’s life”. “Your mission is beautifully written in the Letter of Jude: ‘When there are some who have doubts, reassure them; when there are some to be saved from fire, pull them out … use your most holy faith as your foundation and build on that, praying in the Holy Spirit’,” he said. Bishop Howell said Jesus longed to meet us in our brokenness, pain, trials and difficulties and bring healing to those parts of our lives. The sacraments of Anointing and the Eucharist “bring peace to our inner being, our souls” because “we are consoled that Christ truly knows us, our illness, and its many trials and questions”. 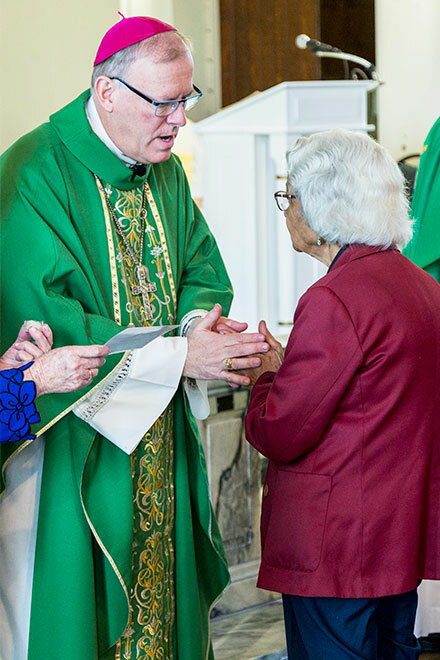 “Above all, he strengthens our faith, to know more intimately the power of Jesus to heal and to lead us forward to inner peace and a deep sense that we are not alone and that we can move forward,” Bishop Howell said. * Surnames of the CPPC members have been omitted for privacy reasons.